Dunkin’ Donuts has been a part of the Greater Philadelphia region for more than 50 years. This is where we live. This is where we work. It means a lot to our franchisees to be involved and to give back to this community that has given so much to them. With close to 600 locations here in Greater Philadelphia, we want to do all we can to bring joy to this community. 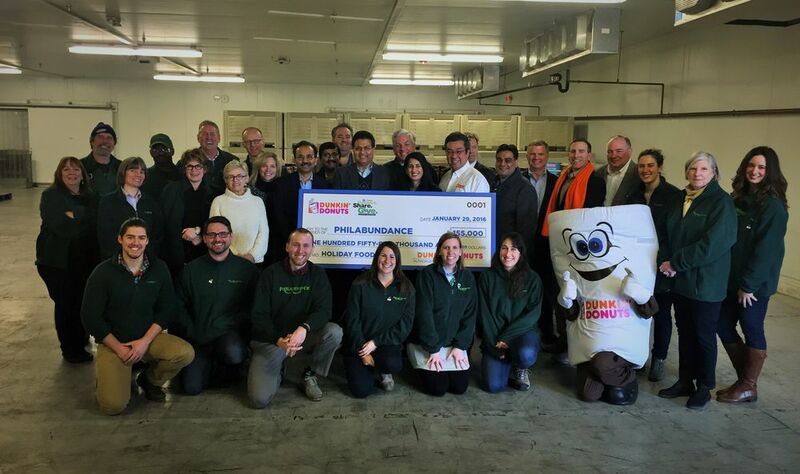 On Thanksgiving Day, our franchisees donated 10% of all hot and iced coffee sales to our five regional food bank partners: Philabundance, Food Bank of South Jersey, Food Bank of Delaware, Second Harvest of Lehigh Valley and Northeast PA and Greater Berks Food Bank. 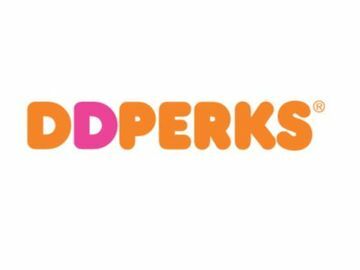 Our successful “Roast Hunger” program has also returned with an extra “perk.” DD Perks Members can receive a $1.49 Large Hot Coffee every day through December 31st when they pay with their Perks-enrolled DD Card. Our franchisees will donate $.50 cents for every coupon redeemed to our five regional food bank partners. For every dollar raised, we are able to contribute an average of four meals. 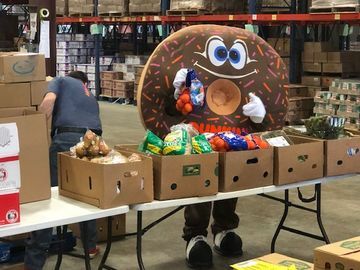 Since 2011, Dunkin’ Donuts Greater Philadelphia has raised over $650,000 to support the fight against hunger in our region, as well as lend a hand by volunteering with our franchisees at our local food banks. That’s over 2.6 million meals donated to benefit our community! It’s about the kids in need receiving nutritious meals. It's the opportunity to provide much needed nourishment to local senior citizens. It’s raising money to help fill food pantries and allow our food bank partners to respond to emergency food requests. For us, that’s what this is all about..
We want to be ambassadors of joy here in our community. 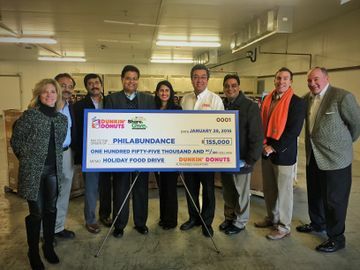 With the support of our Greater Philadelphia-area franchisees and loyal Dunkin' Donuts guests, it is our goal to continue sharing joy this holiday season through these successful programs. 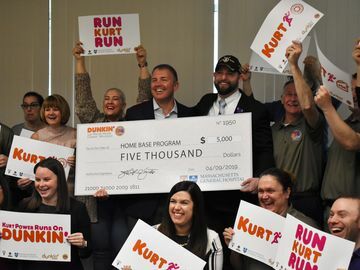 To learn more about the “Roast Hunger” program, visit: www.dunkinphillymarketing.com. And be sure to check back for learn more about how Dunkin’ Donuts brings joy to local communities throughout the Holiday season.